The U.S. government has prosecuted 881 people for terrorism since the 9/11 attacks. Most of them never even got close to committing an act of violence. Since the 9/11 attacks, most of the 881 terrorism defendants prosecuted by the U.S. Department of Justice have been charged with material support for terrorism, criminal conspiracy, immigration violations, or making false statements — vague, nonviolent offenses that give prosecutors wide latitude for scoring quick convictions or plea bargains. 580 defendants have pleaded guilty to charges, while the courts found 188 guilty at trial. Just 3 have been acquitted and 4 have seen their charges dropped or dismissed, giving the Justice Department a near-perfect record of conviction in terrorism cases. 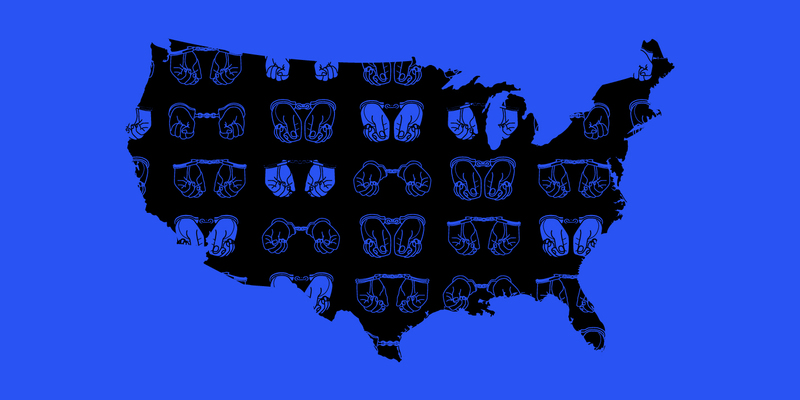 Today, 362 people charged with terrorism-related offenses are in custody in the United States, including 56 defendants who are awaiting trial and remain innocent until proven guilty. 472 terrorism defendants have been released from custody, often with no provision for supervision or ongoing surveillance, suggesting that the government does not regard them as imminent threats to the homeland. A large proportion of the defendants who did have direct connections to terrorist groups were recruited as informants or cooperating witnesses and served little or no time in prison. At present, there have been 34 such cooperators. By contrast, many of the 320 defendants caught up in FBI stings have received decades in prison because they had no information or testimony to trade. They simply didn’t know any terrorists. Since 9/11, 51 percent of terrorism defendants prosecuted by the Justice Department have been charged with material support. Starting in 2014, there was a dramatic rise in ISIS-related terrorism prosecutions. 36 percent of terrorism defendants were caught up in FBI stings. 26 percent of defendants charged with terrorism-related offenses have been prosecuted in New York. Beginning in 2016, Aaronson and Margot Williams collaborated to update and expand the database, with a new emphasis to include Bureau of Prisons data because so many post-9/11 terrorism defendants had been released. The cases include any prosecutions after September 11, 2001, that the U.S. government labeled as international terrorism-related. The Intercept first published this database on April 20, 2017, and it was last updated on March 07, 2019.